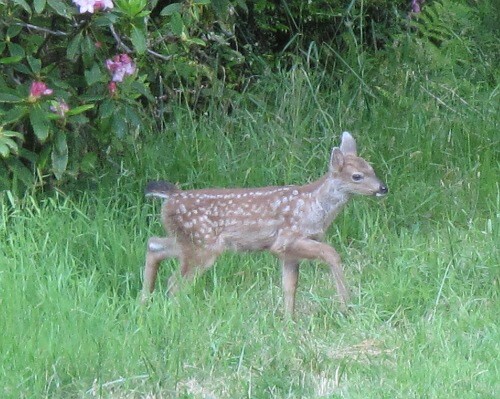 One of the highlights of the year here has been seeing the little spotted baby deer appear. 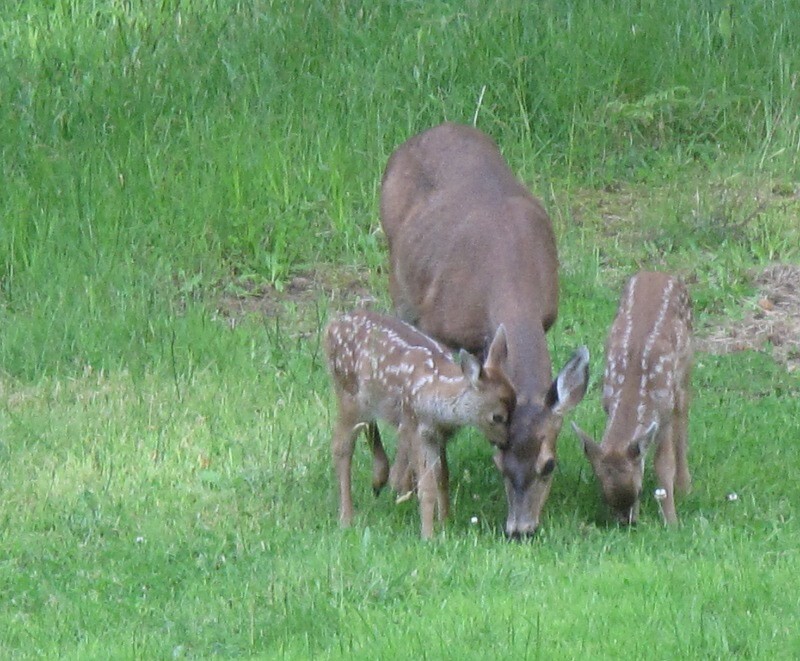 This spring we have been waiting, observing a couple of very pregnant moms graze and relax in the yard, and finally, early one morning last week, I spotted 2 tiny creatures on the far side of the lawn. 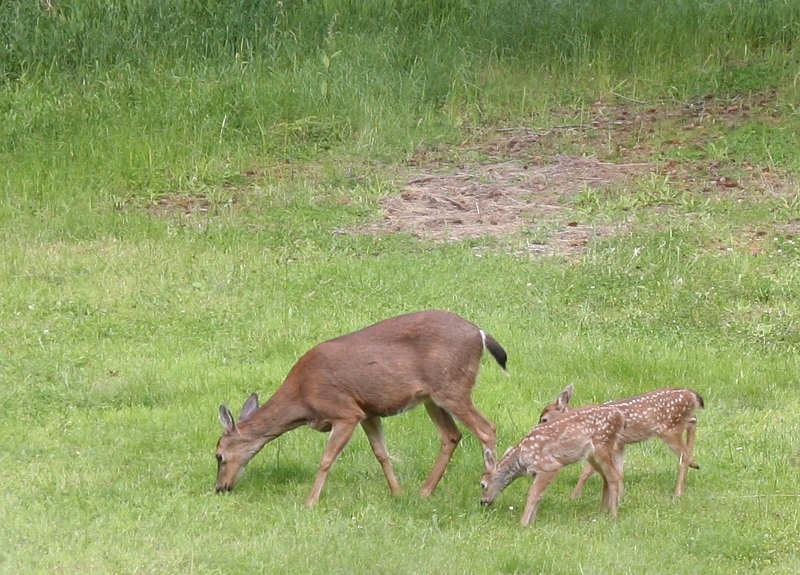 There was quite a herd, with mom and babies, a big buck and a couple of 1 year olds. I was practically giddy, and had to refrain from waking Steven up. After that first glimpse, I decided to get out of sight and not make a spectacle, in an effort to make mom feel comfortable bringing them through here. 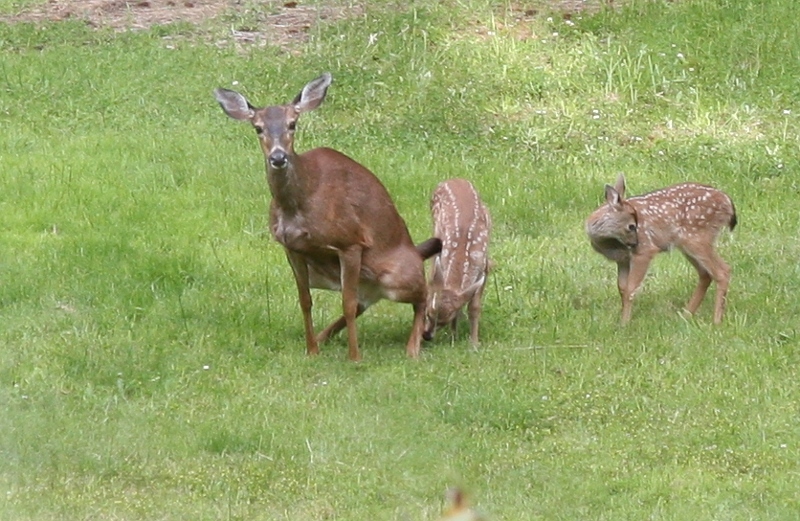 We finally got our fill of baby deer watching yesterday. Ahh, so dang cute! This baby was so curious about mom going pee. They are so little, and still funny and awkward like babies can be. While they mostly stayed close to mom, they were also very playful and ran around in circles with each other. 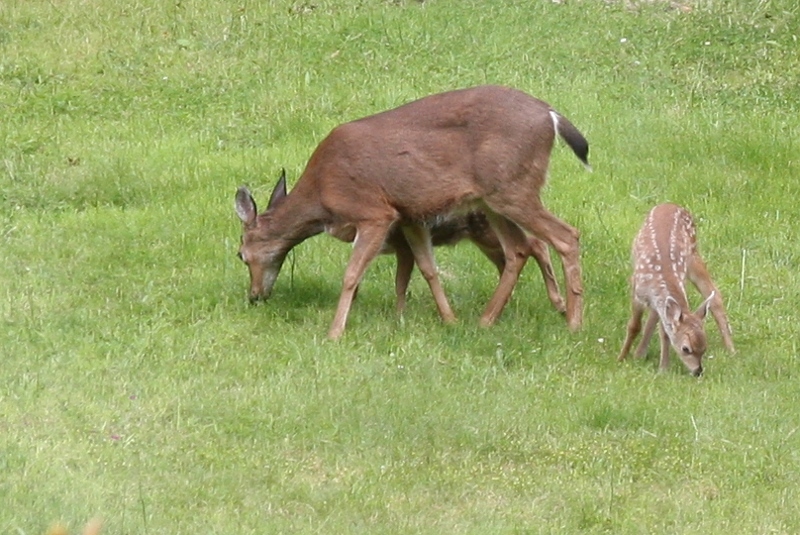 I didn’t notice them eat much, but they seemed pick up pieces of grass and clover, taste it and then drop it, so I’d guess they are still nursing. I’ve never been anywhere that I have been able to observe wild animals so closely in this way. It’s really so amazing. A new pair of boots are in the shop, just for little girls. Made with vintage linen, cotton, hemp and organic cotton/hemp fleece. I am happy with the end result of the balance of pinks and earthy tones. The shop is open! Come visit! A number of new items have been posted, with more on the way – hopefully to be available within the next week or so.The rains have returned, so I will be waiting for the next nice day to do a quality photo shoot.